Why does celebrating Earth Day involve sacrifice and making do with less? Last night I had a dream where my friends and I turned things around to make a game of having fun in ways where the planet wins too. You’ve heard the drill: Reduce, Reuse, Recycle. This year think outside the recycle box with activities where we have more, have fun, and make the world a better place. In the spirit of Earth Day (with a nod to April Fools) let’s take better care of our home and: Consume, Contaminate, and Confuse to our heart’s content. Go all out and eat lots of organic veggies today. Green leafies are Flip’s favorite. Take longer vacations, travel more. Imagine half the number of trips to Europe but staying twice as long. Eat animal cookies to increase awareness of extinction. Shop at Walmart – they have organic veggies now. Soil: Some mushrooms actually break down pesky contaminants. Watch Paul Stamets’ TED talk 6 Ways Mushrooms Can Save the Planet. Check out A Citizen’s Guide to Bioremediation. Air: algae can be used to scrub the air, read about it here. and sunflowers can even pull lead out of the soil through bioremediation and phytoremediation. Water: “pollute” shallow ocean waters with masses of algae, seaweed, and plankton. According to Russ George these create bio fish pastures. This new fish habitat could bring back the world fisheries. As Russ says, “Beef is made of grass. Fish are made of plankton.” As a bonus this biomarine life removes mercury from the water and from the fish. Many content themselves with releasing conflicting data about climate change. Why not share these ways to Consume and Contaminate More with your non-eco minded friends and keep them guessing? PS: Want more Earth Day fun? Every purchase of the Tilt World iPhone game plants one tree in Madagascar! 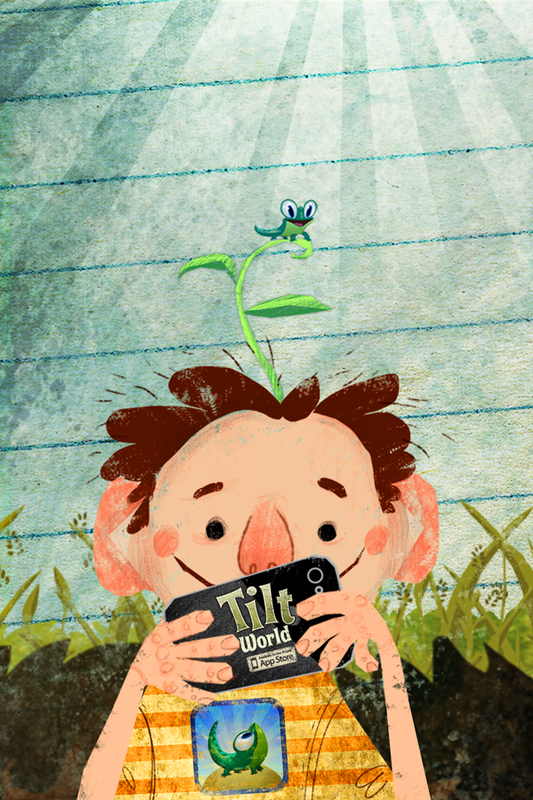 Ensure your tree is planted by downloading Tilt World today in the App Store. Tilt World Sponsors JP Aerospace Student Science Projects. News Flash! : Im going to space! I, Flip the tadpole, am going to space in a PongSat. 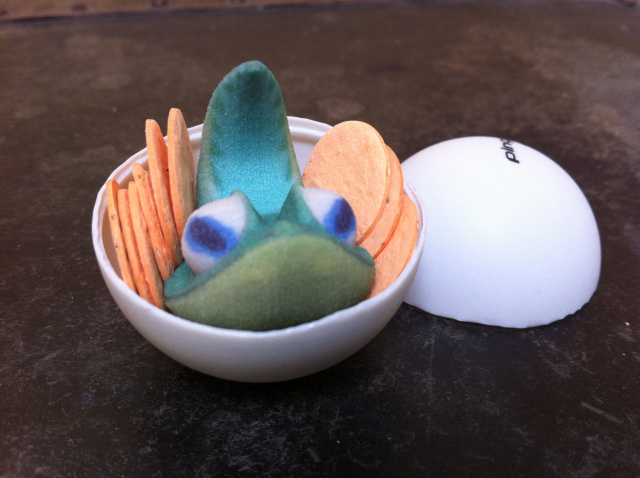 I’ll be nestled amongst 10 Tilt Point Seed Embedded Paper Coins. These 10 coins are part of a science experiment to test how space conditions affect the germination rate of the seeds! Awesome right!? This is me at the pre-flight check in. I still fit! 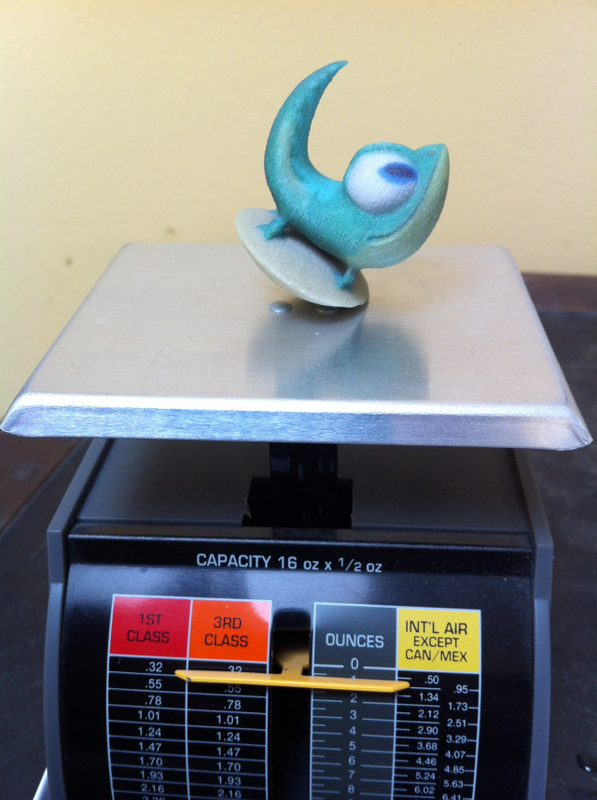 I weighed in at one oz, so we have room for some snack… er seeds for the experiment. The finished PongSat ready to mail to JPAerospace. 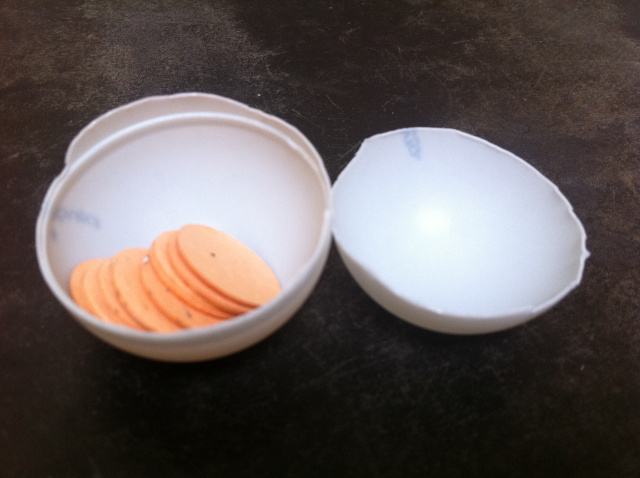 The Control PongSat with 10 more seed coins stays here on Earth. Once I return both sets of coins will be planted to see how they germinate. Check out LeafCutterDesigns.com who generously donated the Seed Paper for this experiment. The control group all sealed up waiting for my return from space. Once I make it back with the Tilt Point Seeds (I wont eat any I promise 😉 then we’ll plant both groups and see how many sprout. 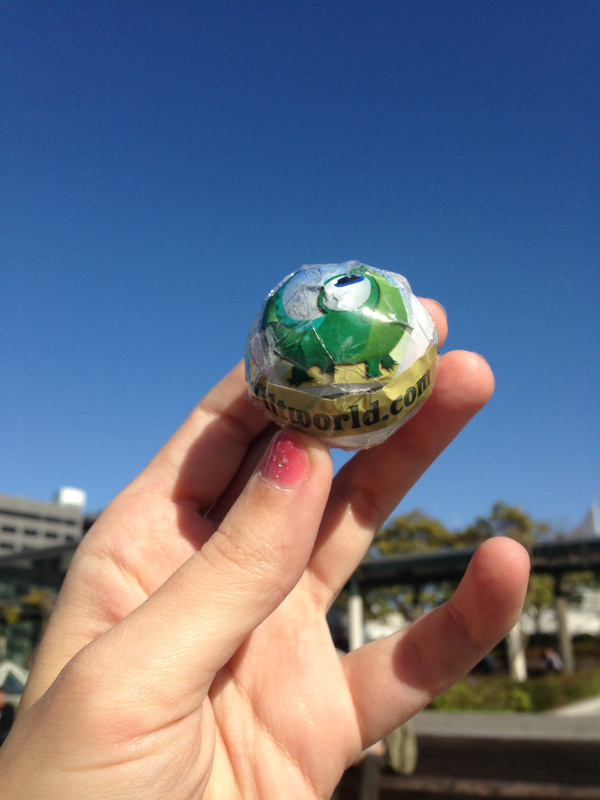 Tilt World Launches New Pollution Adventure Pack! There’s a fire in Shady Glen! 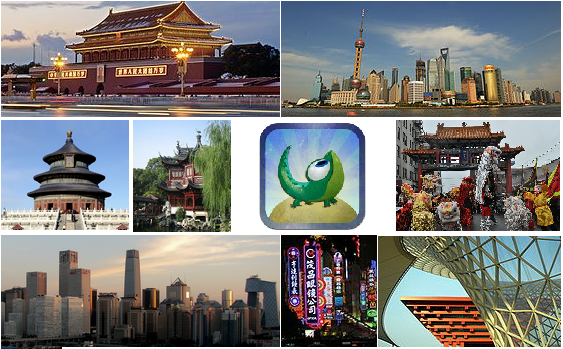 Continue Flip’s adventures with 3 new worlds and 15 new levels. Put out the forest fire and replant Shady Glen. In the new Madagascar Adventure Pack, help Flip chase down fiery charcoal dust, recycle bottle caps to bottle the Blight, and chow down on invasive species. Purchase and play the Madagascar Adventure Pack for more puzzles, story, and earn even more Tilt Seed Points to plant trees faster in Madagascar! Remember, for every Adventure pack won, Tilt World plants a tree with WeForest in Madagascar! 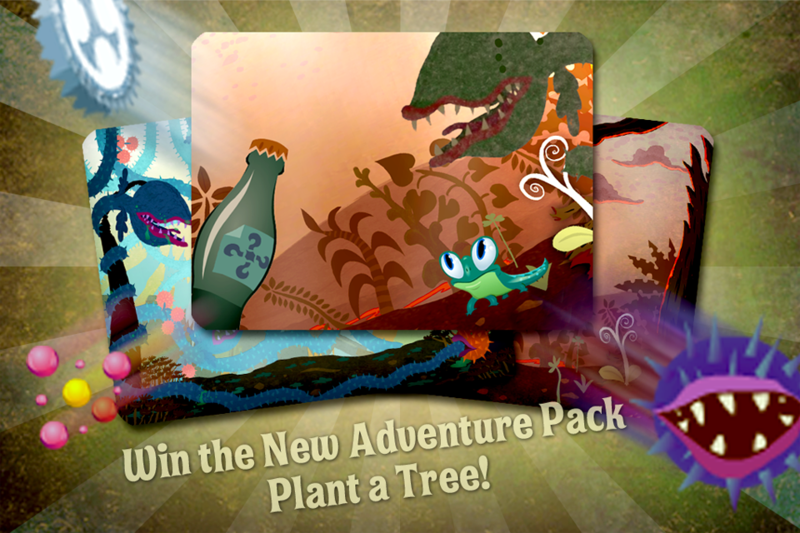 Now Plant twice as many trees by winning the Pollution Adventure pack available as an inApp purchase. Named Pollution the new Adventure Pack chronicals the fate of Shady Glen after Flip replants the forest in Forest. + 15 Brand New Levels, with new puzzle tilting fun! + 3 New Worlds to save! + New friendly carbon and seeds that follow Flip. + Keep tilting to catch Coal Dust when it’s not Blighted! + Can you outrun crazy radiation? The fate of Madagascar is in your hands! The Viability of Playsourcing. What If One Point Was a Drop of Water? 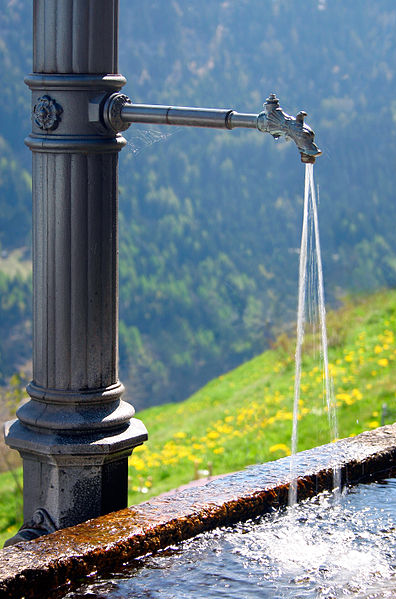 Clean water is just one problem that potentially has a Playsourcing solution. Imagine if we could deliver, food, electricity, or medical aid, just by getting people to play. A water purifier with a built in videogame, a simulation of crop selection where every high score yielded a report on how people could be better fed in the real world, or an electricity saving and distribution game that hooked up to your electrical meter and an exercise bike which could help predict and prevent blackouts based on people’s use patterns… Anything is possible! There are a hundred ways to make the processes of solving real problems fun. For example, here’s a vocabulary game that donates rice to hungry people each time you play! Help us prove to the world that Playsourcing can make a difference. A perfectly positive trend in our opinion too! Let’s Play, Plant, and Protect! As a thank you for all the amazing support during our May Day special, we are offering these spiffy new Tilt World wallpapers for your Desktop, iPad and iPhone! Enjoy! Tilt World is free for the next 3 hours. Want to know why? 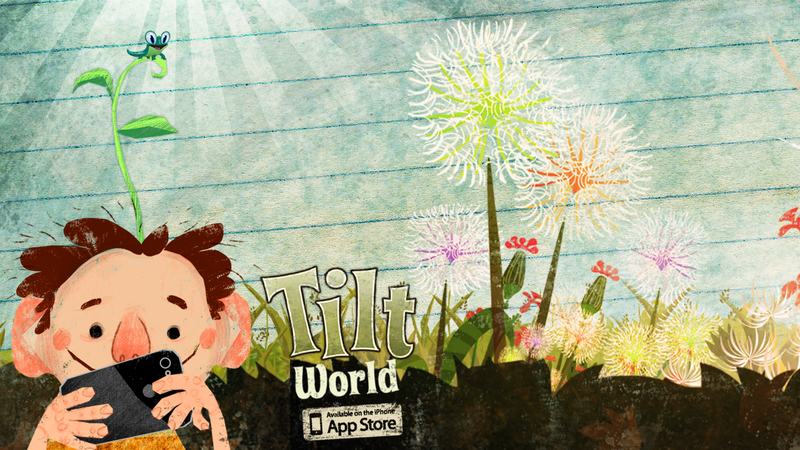 Special Extension: Tilt World will be available for free until 6pm PDT today. International May Day is here. Today we honor laborers throughout the world who struggle to make ends meet, to live with dignity, and to be respected as an important part of our global community. It’s also the day of leaving wildflowers on people’s doorstep as a sign of good faith. At XEOPlay we weren’t sure what we could do for labor, until we took a closer look at what our game really does. The mangroves that we plant with WeForest fight this soil erosion. So our mission of planting a million mangroves in Madagascar is not just good for the environment, it’s good local farmers who labor to get peanuts, rice, sugar cane, and coffee harvested and brought to market each year. The way these farmers make their living will only be sustainable as long as there is enough rich topsoil to feed their crops. So this is our small part for May Day. 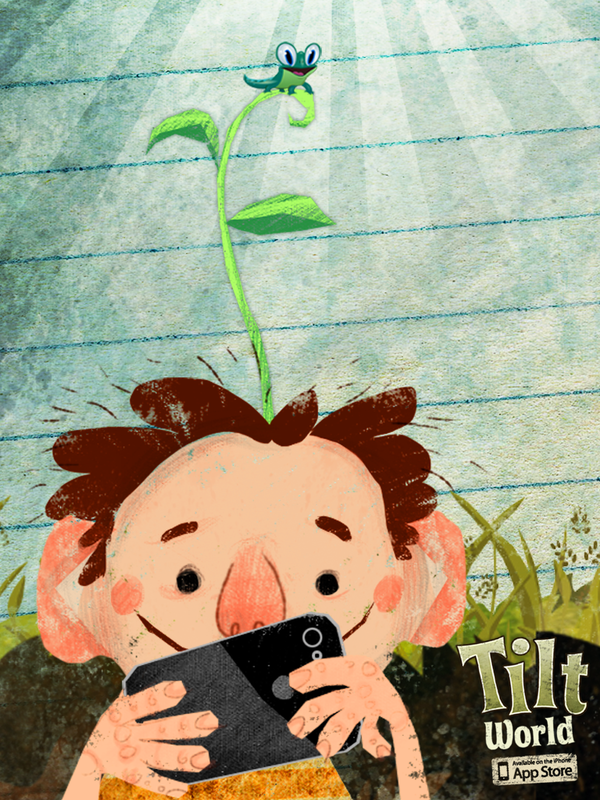 For the next three hours (12pm-3pm PDT) Tilt World, the iPhone game that plants trees, is free for whoever wants to help. It isn’t a bundle of freshly picked wildflowers, but it’s almost as beautiful, and it’s what we have to leave on your doorstep. From all of us at XEOPlay, Happy May Day.